The Drivers of Engagement: Do They Get to Decide? | SCInc. Recall in an earlier video we saw a strong correlation between the position of an employee and that employee’s level of engagement; and that when employees attain positions of authority they tend to be more highly engaged than other employees. But the reasons for the increase in levels of engagement probably have more to do with the things that accompany that position than the position itself. Things like ownership and responsibility for their own world. Things like the ability to work autonomously and without the stress of being under the microscope. Things like being entrusted with oversight of meaningful projects and being held accountable for self-management of that oversight. 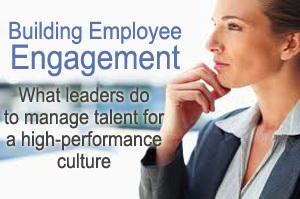 These are the kinds of conditions leaders need to put into place to build engagement in their employees. ← The Drivers of Engagement: How’s Their “Line of Sight”?